I have been using the Walmart Pickup APP and it is AH-MAZING! 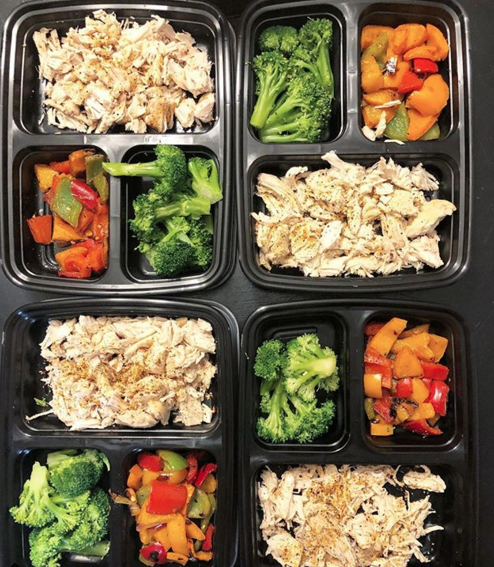 I know it may sound extremely lazy (since I don't have any kids or anything LOL) but not having to spend an hour or so grocery shopping on Sunday really frees up so much more time for me to focus on other things (such as meal prepping, working out, responding to check ins and etc). In order to use the Walmart app all you have to do is download the app! It's free and you actually aren't ALLOWED to tip them. You literally have nothing to lose! You simply order all of your items and place them in your online cart, then select a time for pickup. You can then "check in" when you are on the way so that they will bring it right out to you! You can even select the color of your car so they will recognize you right away! What do I put in my grocery cart? I try to pick MOSTLY (not all) items that are on the outer aisles of the store. The items on the outer aisles are going to be less processed and more natural foods. For protein sources: I like lean ground turkey, chicken breast, egg whites and tuna. For carb sources: I eat a lot of fruit and veggies, oatfit, sweet potatoes, rice cakes, rice. Fats- cheeses, almonds, nut butters/peanut butter (true life i'm addicted to peanut butter). Next, I like to plan out what I want to meal prep. I don't just "wing it". I usually will think about what sounds good to me ( I will never prep things that I don't like, not necessary!). I will sometimes browse Pinterest or other recipe sites (I love Emily Frisella's website http://fithomeandhealth.com/author/efrisella/ and The Macro Experiment http://www.themacroexperiment.com/) . You can also just google "meal prep ideas" and a TON of options will come up! Once I figure out what I want to make, I start cooking! I will put the chicken in the crockpot or cook the ground turkey in the skillet. I cook the foods that will take the longest, first (usually the meat or sweet potatoes if i'm having them). Next, i'll cook my carb sources and then measure everything out for each meal! I use tupperware that I found off amazon to put my meals together. I simply place all the prepped foods in each container (using my food scale so I can make it fit my macros). VOILA! It really doesn't take too long. I like to do other things while i'm prepping too! (like right now, i'm writing this blog post as my sweet potatoes cook!). 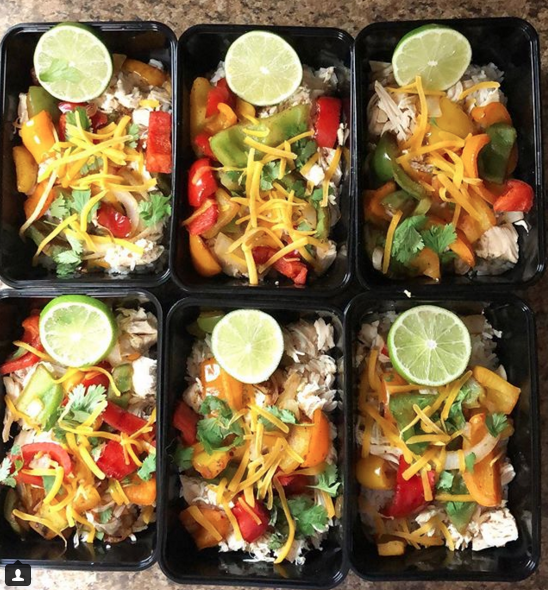 It doesn't need to take 7 days and 7 nights to meal prep! Don't make it difficult. I simply cook all my lunches ahead of time and make sure they are all pre portioned out so I can just grab and GO! Makes my life as a busy teacher SO MUCH EASIER. Seriously, it's so worth it! For breakfast I usually eat the same things every single day (I'm a creature of habit and it's just what I like + what keeps me full till lunch), and for dinners I just make whatever we have available at home. If you are extremely busy I highly suggest prepping your dinners too, at least for a few nights! It's up to you. Whatever you do, set yourself up for success! * Join my FREE private fb group here! Thank you for contacting Teacher’s Gone Strong! 2016 © Teachers Gone Strong, All Rights Reserved.